Have you ever laid eyes on something and felt an instant connection, as if it was calling to you? I’ll begin by saying that I’m generally not a materialistic person. It's rare for clothing and accessories to catch my attention and in truth I get anxiety from shopping. However, back in February 2014 I found myself drawn to a specific item, one of those things you lock eyes on and instantly know it’ll be apart of you. I was in Cape Town for the first time, enjoying the Saturday scene at the Old Biscuit Mill in Woodstock with some new friends- bites, drinks, and eyeing some products on display. We eventually came to a stall where Rowdy products were being sold. I almost didn’t take a second look, not that their selection of quality natural leather bags weren’t impressive (I was half tempted to purchase a duffel!) but like I said, I’m not really keen material goods. However, the moment my eyes landed on their rucksack, with a world map as it’s canvas I knew it was for me. I examined it, feeling the soft leather in my hands, slowly caressing all the places on the map I had been or wished to go. It just felt right. I thought about it for a few more minutes (not an impulsive buyer) and decided to purchase. From that moment on, it became my new travel bag. It accompanied me to numerous destinations around the globe, the first two being Rome and London a month later, and eventually to Greece, Prague, UAE, France, Israel, Sweden and countless other destinations. Not only did I find it to be stylish and convenient for storing my travel documents, it was also a great conversation starter. I’ve lost count of how many people approached me, asking me where I got it from, what countries we had visited or hoped to visit, and even using the bag as a reference point to locations around the world. Shortly before my would be two year anniversary with the bag, I traveled to The Bahamas for New Years 2016. A few hours after arriving, I found myself at Jaws beach. It’s more of a local beach scene, away from the main tourist hotspots, which is what I usually prefer. After taking in the beauty of the ocean, I decided to climb a coconut tree, just a few steps from where I was parked. During my short time in the tree, my rental was broken into and gone where my travel documents, wallet phone and of course my Rowdy rucksack! I was devastated. A total rookie move, leaving my items in plain sight, and not taking a moment to properly secure my belongings. The next few days were trying to say the least, with no easy access to funds or being able to communicate with friends and family as the New Years set in, but I wasn’t about to let this set back ruin my holiday. I made the most of the trip, even made friends with some of the hotel staff who offered to show me around the island of their off time. When I returned home, I was able to replace everything that was stolen, save the Rowdy Bag. All I had left were the memories that were associated with the bag, from lazy afternoon strolls in Ibiza, early mornings at the Charles Bridge, to admiring Mexico City from atop Castillo De Chapultepec. I figured I would probably never get another Rowdy Bag, because who knew when I would return to Cape Town or if the same bag would still be in production. The memories were what mattered most really, and is that not how most material objects come to have meaning? Through the memories and experiences, we associate with them, hoping that it brings a smile to our face when we look at a certain thing and recall certain moments. Flash-forward four years, and I’ve found myself back in Cape Town, this time for work. And of course, you can’t pass up on at least one weekend at the Biscuit Mill, and wouldn’t you know it, the Rowdy stall was still there. I was excited at the chance of getting another rucksack, but sadly I could not find the same one. So I reached out of the company via, told them about my initial experience with their brand and how their product had become my favourite travel bag. I received a response with the good and bad news. The bad being that, the bag I had initially purchased was no longer in production, (I think I let out a little yell) but they agreed to sponsor me with a new bag! I was invited by to their factory store in Salt River, where I met Adam who I had corresponded with. He gave me a little history of the company, and I got to take a behind the scenes look at their production. I thanked Adam again for the consideration, taking the time to meet me and I went on my way. It was time for new adventures with my Rowdy rucksack. The entrance to the cave in the foreground. So here we are, four years later with much more knowledge and experience in the Mother City, my trip slowly coming to an end and my story with Rowdy coming full circle. This reunion of sorts with a new bag is a reminder to me about what really matters. Kindness, openness and realizing that sometimes when things happen to us, there is nothing we can do but move forward, focus on the good and work towards new and better moments, and more exciting journeys. It’s those sleepless nights in Spain, walking along the Colosseum in Rome, or riding a quad bike up and down the beautiful city of Santorini, that made the bag meaningful. As I said earlier, it’s the memories that we associate with material objects that make them… well, make them more than just objects. I knew that I wanted a new experience in Cape Town with my rucksack, so I thought why not bring it along with me to Woodstock Cave. One of the largest on Table Mountain, it’s a moderate hike, consisting of a series of zigzags along the path. There are two ways to access the cave, and I took the Tafelberg Road route. 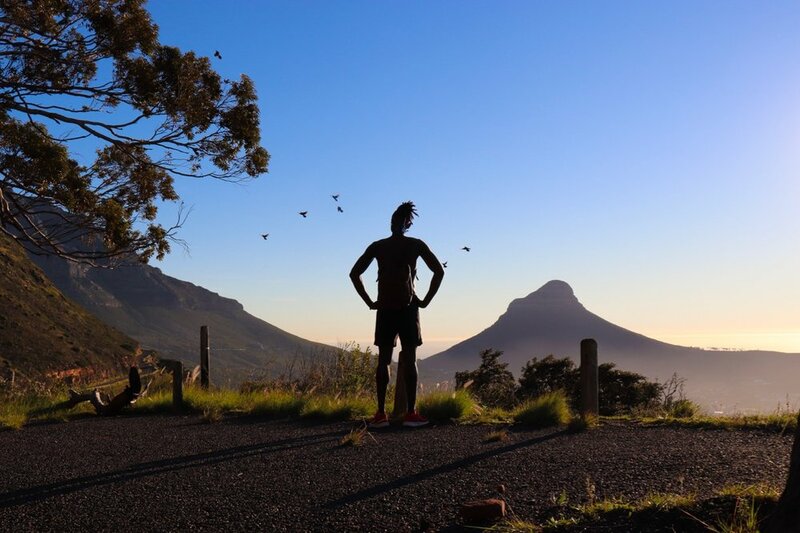 You’ll either Uber, Taxify, bike, run, or walk past lower Table Mountain along Tafelberg Road. If you are driving, you’ll eventually come across a chain barrier. You’ll park and continue on foot and based on your pace, you’ll be at the cave entrance in under an hour. Be sure to watch out for the signs so you don’t get lost while climbing, but hey, getting a bit lost and finding your way again is apart of the journey. There is serenity to be found up there, a peaceful feeling as you close your eyes, breathing slowly, letting the calming sounds of nature take over you. 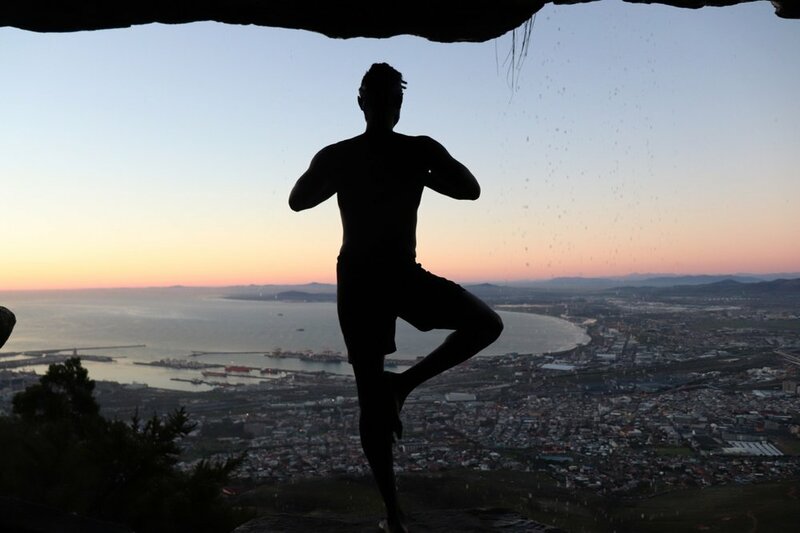 Open your eyes, stretch your arms out and feel the cool water from the waterfall flowing at the cave’s entrance and awe at the panoramic view of the Mother City. The hike could not have felt more right at that moment, almost as if I was meant to have hiked it at this exact moment in time, and not four years earlier. There was a release happening and I welcomed it. Let go of the past, let go of what was taken, how you were wronged and all of that negative energy. Not doing so does a disservice to your being and what you could become, as you are holding yourself back from new climbs, new adventures, and new memories. Focus on what’s ahead. Take only with you the good, leave everything else behind and make it worthwhile. Cheers to the continuing journey. Thank you for reading and thank you Rowdy, for hearing my story and showing kindness.